The public and the legal profession alike have a common interest in maintaining an extreme level of competence in the judges who serve on the High Court of Australia. Only the most able of judges should be appointed. The most recent appointment, Justice Geoffrey Nettle, fits that description. In his 12 years as a judge of the Victorian Supreme Court and Court of Appeal he has developed a strong reputation for judicial acumen. However, it is an odd appointment. When he takes his place as the 51st appointment to the Court on 4 February next, he will be 64 years of age. He will have less than 6 years on the bench before he reaches the Constitutionally mandated retirement age of seventy. If stories are correct about the time it takes for a judge, no matter their experience or intellectual credentials, to become accustomed to the different role and responsibilities of a judge of last resort – and Dyson Heydon is cited as a recent example – then the productive years for Geoffrey Nettle may be very small indeed. Add to this the need for a judge to cease hearing cases about four to six months before retirement (because all judge’s decisions need to be delivered before retirement)! There is also reason to consider the other retirements which are imminent. 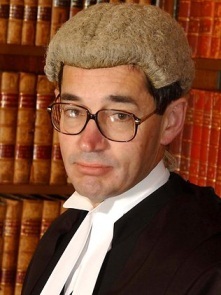 Justice Kenneth Hayne turns 70 on 5 June this year. Chief Justice Robert French does so on 9 March 2017. A case heard by the High Court in April 2017 will be decided by 3 newbie judges, one of whom will only have another 3 years left until his tenure ends in December 2020. All this means that, if the learning curve is as long and steep as it seems, there’s a prospect that the quality of the High Court’s judgments will decline in the second half of this decade. To me it’s a case of good judge, bad timing.